Welcome to another Becoming A Modern Man! 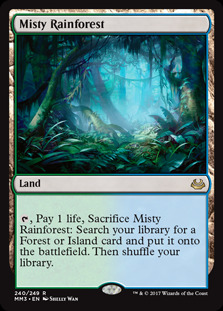 I've been a bit behind on Magic recently but Pro Tour Rivals of Ixalan certainly did a lot to motivate back into playing my favourite format. The event was really great and some really unexpected decks managed to make it into the Top 8. 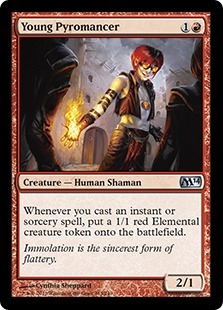 The two biggest surprises for me were the two Young Pyromancer decks - Mardu Pyromancer in the hands of Gerry Thompson and the UR Pyromancer deck being run by Pascal Vieren. 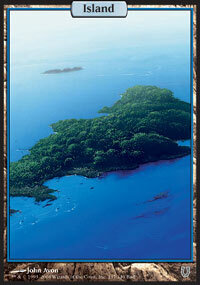 The deck is quite similar to the UR Delver decks that once ruled the format, before the banning of Treasure Cruise . However, it's a bit slower and less explosive than that. 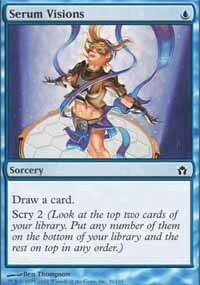 If you want some more insight into the deck, Pascal's older brother Peter Vieren wrote a deck guide and sideboard tips in an article for Hareruya. Peter designed the deck for the tournament and gives a lot of interesting insight into his thought processes. You can also read a tournament report from the man himself. It's been a while since Young Pyromancer was dominating the top tables of Modern, however, it made a really powerful showing at the Pro Tour. The army-in-a-can card can produce a huge advantage. 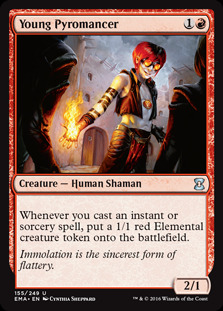 The deck is heavily spell-based and so unchecked Young Pyromancer can take over the game. 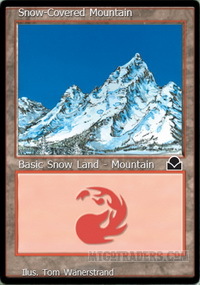 Peter Vieren revealed that although the deck is being named after Young Pyromancer it is actually Thing in the Ice which was the central point of the deck's design. Thing in the Ice is a powerful card - making a solid blocker - and then a deadly threat once it slips and bounces all non-Horror creatures from the battlefield and most likely hitting for 7. 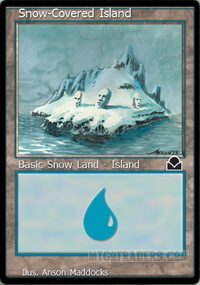 Thing in the Ice is certainly a magnet for removal but when unanswered it can very easily win you the game. There is something of a nonbo with the Young Pyromancer tokens but if you are flipping a Thing in the Ice you are probably already in the ascendancy. 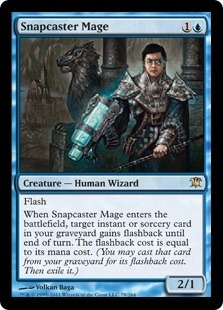 A nice combo is that you can bounce your own Snapcaster Mage s back to hand for value. This guy doesn't really need any introduction. 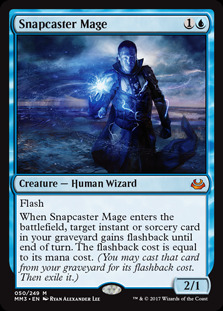 It's difficult to imagine building a blue spell-based deck without Snapcaster Mage and of course he is a perfect fit for this deck. Cryptic is a super powerful card and gives us powerful countermagic options and also answers to lots of problem permanents and situations we might find ourselves in. Cryptic is super versatile and just gives you so many options. 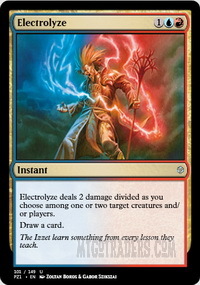 Electrolyze is not a fundamental card for the deck but can clear out small creatures and also can draw us into further spells. Our deck runs a good tempo game and so Remand works nicely. 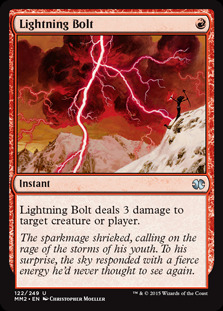 Thing in the Ice is only real powerhouse in the deck and otherwise we are often eking out wins with Lightning Bolt s and Young Pyromancer tokens. Remand can set opponent's back a turn while also triggering all our spells-related bonuses. The extra time and the extra card can be really valuable. 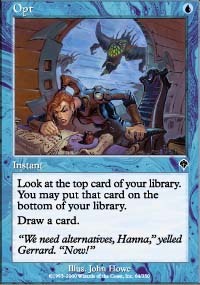 Some cards need a more permanent answer and Mana Leak fills that role. 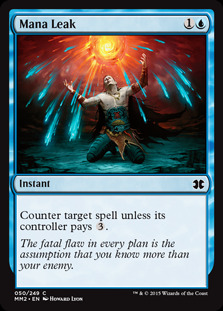 Leak allows you to prevent key spells from resolving for your opponent. 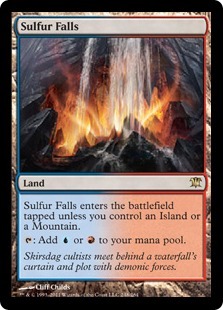 It tends to be less useful in the late game where the 3-mana tax is more achievable but Leak is very powerful early. Logic Knot is very powerful as we have a lot of cantrips and cards to fill our graveyard meaning we can often Knot for enough even in the later stages of the game to ensure we counter our opponent's spell. 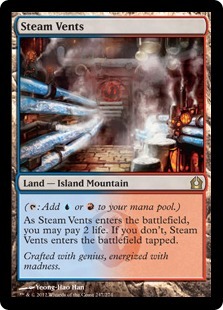 Roast was hot tech when Tasigur, the Golden Fang and Gurmag Angler were dominating the format. We aren't quick back in that position but they are both popular cards in the format and there are a good number of large threats to handle in Modern. Be it a Tarmogoyf or a Hollow One there are lots of good targets for a Roast . 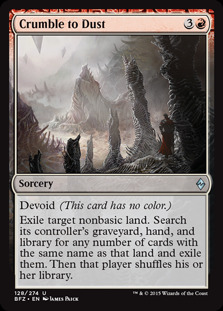 Players of Standard will be very familiar with Abrade but it has yet to really find a space in Modern. 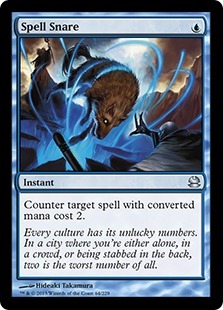 The one-of main deck is pretty clever as it gives outs to Ensnaring Bridge decks, can unexpectedly disrupt a Tron or Affinity players and also has general utility as a removal spell. It is rare that Abrade is completely useless. 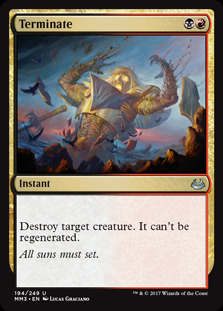 One of the greatest pieces of removal of all time and a great way to finish off the opponent. 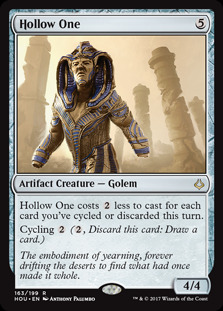 Also, Snapcaster Mage 's best buddy. Draw and filtering in a very cheap package. 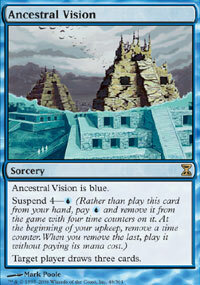 Visions allows you to dig for your threats or for more spells depending on your needs. 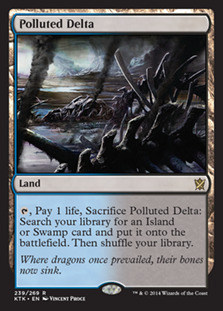 Opt is a card I haven't had much opportunity to play with since its recent arrival in the format. 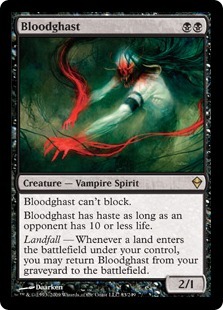 Instant speed draw means it plays a bit differently to the cantrips I am used to in Modern. A solid cantrip that helps you filter through your deck. Spell Snare is a very powerful counterspell in the right environment. I would say that Snare is less powerful than it once was as there a number of decks that are not very 2-drop focused or have no useful targets. It is a great gotcha card though which can catch an opponent by surprise. You just need to be able to assess whcih decks it is good against and ones where it will be a dud. 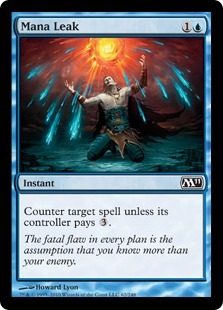 As a Tempo/Control deck, we are looking to use our spells to slow our opponent's gameplan and further our own. However, eventually we will run out of gas. 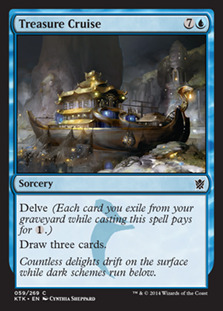 Much like Treasure Cruise worked for the UR Delver decks in the day, Vision is a way for us to restock our hand and gives a big advantage in a long game. 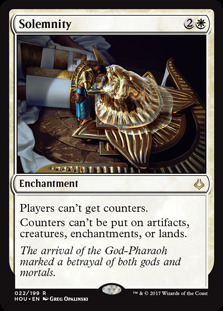 This is a card that i grossly underestimated when it was printed in Ixalan. To me it felt like a more expensive Ghost Quarter . 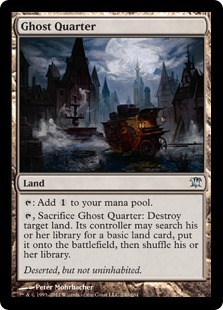 However, sacrificing Ghost Quarter can put you down on lands. Maintaining mana is very important for decks like this that are looking to hold up countermagic and instant-speed spells. 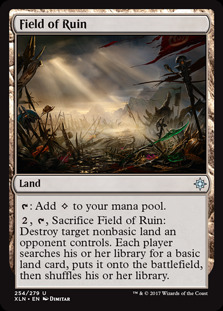 Field of Ruin allows you to disrupt your opponent's manabase while also replacing itself with a basic land. 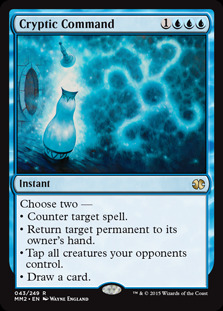 Sometimes this also works as mana-fixing when you need the third blue source for Cryptic Command . 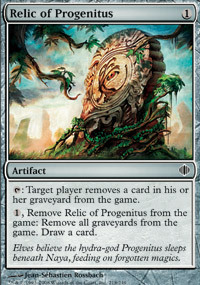 Relic of Progenitus helps us disrupt graveyard-based decks. 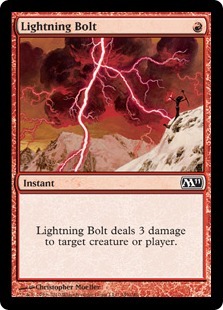 It can be a double-edged sword in that is can interfere with our Snapcaster Mage plan but we want to bring this in against decks like Storm and Dredge that are looking to do really degenerate tricks. 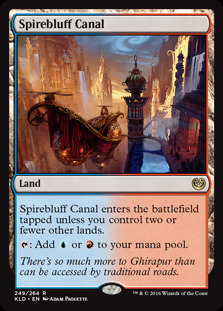 Dispel adds nicely to our countersuite and means we can out Control some of the more dedicated Control decks of the format. It can also counter keys spells such as Collected Company or Whir of Invention . 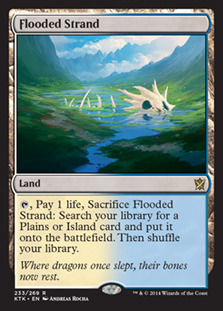 Spell Snare as I mentioned is very powerful against certain decks, like Jund/Abzan that are heavy on two drops. 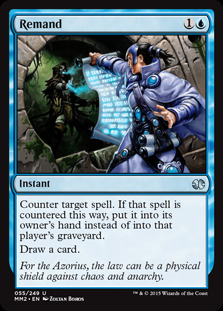 Answering a Tarmogoyf or a Terminate with a one-mana spell is pretty great. 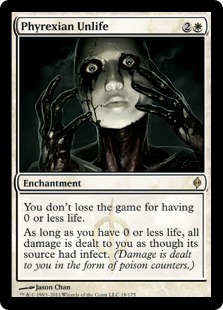 Disdainful Stroke helps us punish decks trying to power out expensive threats, such as Tron, Scapeshift and Hollow One. 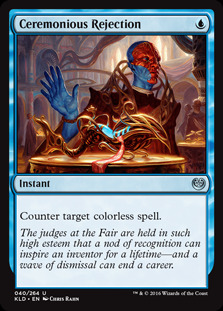 In the new metagame it is also a nice answer to Jace, the Mind Sculptor. 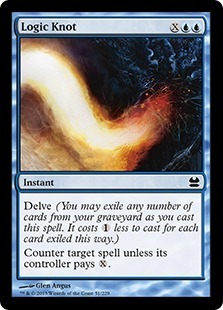 Negate is largely out for the Combo and Control decks and other spell-focused decks. 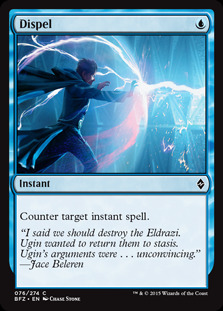 Ceremonious Rejection is a counterspell that is very useful against Eldrazi and artifact-based decks, including Tron, Affinity and Lantern Control. 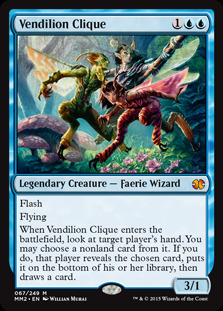 Vendilion Clique gives the deck another threat and also a card that can disrupt the opponent's hand, which is particularly useful against combo decks. 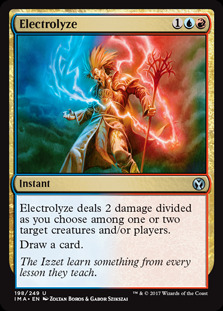 Electrolyze is very good against decks that run lots of cheap small threats as you can great value kills two one-toughness creatures. It's also a good answer to a Lingering Souls or something similar. 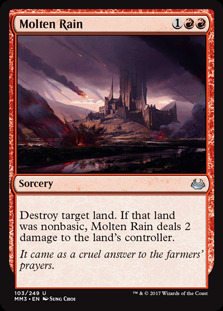 Crumble to Dust and Molten Rain gives us game against Tron and other land reliant decks. 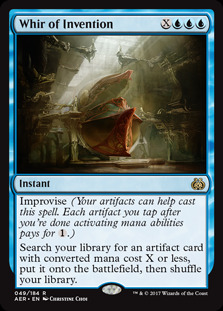 Abrade , as in the main deck, provides us with a versatile answer to artifacts or can add to our arsenal of removal spells. Our first matchup is against Rakdos Hollow One. Their deck is pretty explosive but we have lots of answers and if we can bare the brunt of their attack we are likely to come out ahead. Thing in the Ice and Young Pyromancer both matchup pretty well against their decks strategy - both are great against Bloodghast beats and creating chump after chump or bouncing all their creatures back to hand is really powerful. Our second matchup is against a Solemnity Control deck piloted by Magic_Aids, who is a very entertaining Youtuber and as far as I am aware the inventor of the Five-Colour Humans deck that has become so popular in Modern. This match was fairly straightforward as their deck is pretty heavily reliant on us not having an answer to the Phyrexian Unlife /Solemnity combo. Fortunately, we have Cryptic Command which can do everything and so we can just bounce one of the enchantments for the kill. Our third matchup is Lantern Control, which has become a bit of a bogeyman after winning Pro Tour Rivals of Ixalan. We actually have a lot of good cards for this matchup. 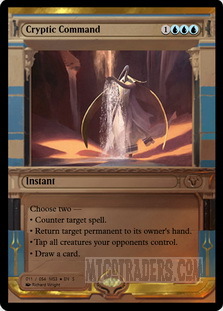 We have countermagic for Ensnaring Bridge and Cryptic Command to bounce it if it comes into play. 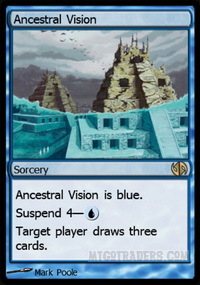 The main deck Abrade is also pretty tasty as is Ancestral Vision which allows us to draw two cards they haven't had a chance to filter even through the Lantern lock. That said their deck is still very powerful and our deck is certainly not the fastest of kills so you do risk being Lantern locked. 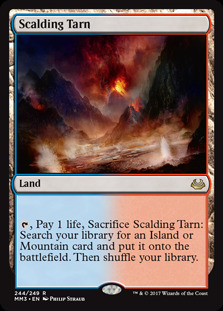 Our fourth matchup is against Grixis Control. This was a really interesting matchup as I thought of our deck as more of a Tempo deck than a Control deck but it really can fit into that Control role, even against another Control deck. Our opponent here was not running Ancestral Vision and lacked the array of counterspells we had post-sideboard. 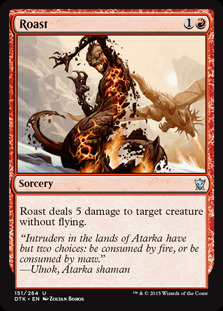 Also, Roast nicely answers Tasigur, the Golden Fang and we have plenty of answers to Snapcaster Mage beats. This matchup worked out pretty well. Our final matchup is against Eldrazi & Taxes. This matchup is quite interesting - we have a lot of good cards against them but sometimes it depends how things line up. Thing in the Ice seems pretty strong in this match as it can wall their early attackers and bouncing their threats is quite effective. 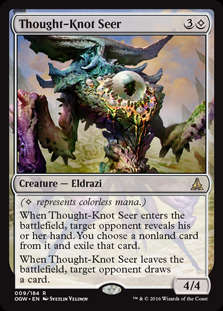 Their top-end threats in Thought-Knot Seer and Reality Smasher are quite tough to kill for us though. 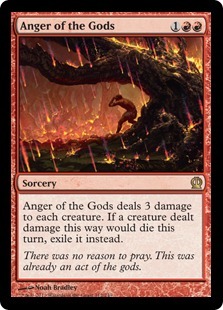 (Anger of Gods) post-board can help us sweep the board of their smaller creatures. The timing of this article is pretty awkward. 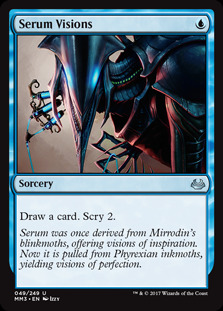 The unbanning of Jace, the Mind Sculptor has meant that there is a good chance that this decklist from the recent Pro Tour is just not that relevant anymore. I have already expressed my displeasure with the recent changes to the Modern format and their timing - it's a shame that I can't feature more of the exciting Pro Tour decklists as some have become irrelevant. 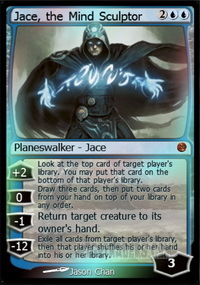 My fear here is that all Blue decks will probably become amalgamated into whatever proves to be the best Jace deck. The pre-unban format was quite diverse and featured decks like this one and also UW Control, Grixis Control and Jeskai Control but I feel Jace will make this decks a lot more similar than they once were. Here's hoping the format remains healthy but I doubt with Jace being legal this particulary deck survives or does not become a Jace focused version of this deck. However, we shall see what happens. Thing in the Ice and Young Pyromancer are spell-focused cards but do also provide protection for Jace so they could pair up with the new big planeswalker on the block. In terms of the deck as it stands. It's an interesting one and certainly very decision heavy. 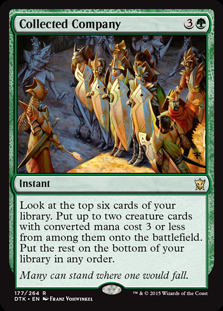 The deck at first glance just seems like a grouping of cheap countermagic and burn and it may not be immediately clear how you win games. That's where the videos come in. 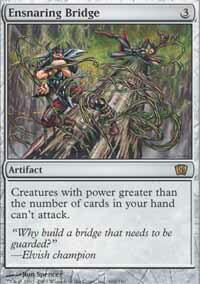 The deck is quite like the UR Delver decks of old and tempos the opponent until it can take a strong grip on the game.